Chinkee Tan was only 12 years old when he tried his hands at selling everything from toilet paper to t-shirts to his classmates and friends. He did it to support his parents, who were struggling with family finances at that time after their textile business closed down. The financial crisis that struck his family taught Chinkee early life skills about making money. Instead of getting desperate about his family’s uncertain financial future, he took the challenge of becoming financially independent by learning the ropes of entrepreneurship. Chinkee grew up watching his parents ensure the family's survival by earning a living through hard work and perseverance. During his college days, he would organize after-class discos in the afternoon to earn extra income. The regular event was so successful that he, along with some partners, started producing concerts. At one time, Chinkee also joined showbusiness and appeared in several comedy movies. As soon as he was already earning for himself, he opted to drop out of school to focus on his entrepreneurial career. 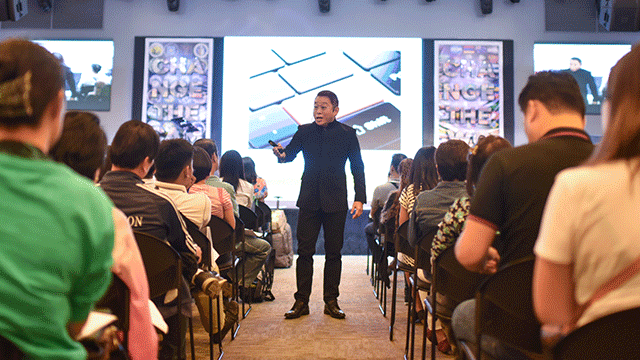 Chinkee initially ventured into selling of real estate and insurance products before he eventually put up his own direct selling company, which now has a sales force numbering 30,000. Years later, he would cash in on the growth of his company by selling it at a good price. 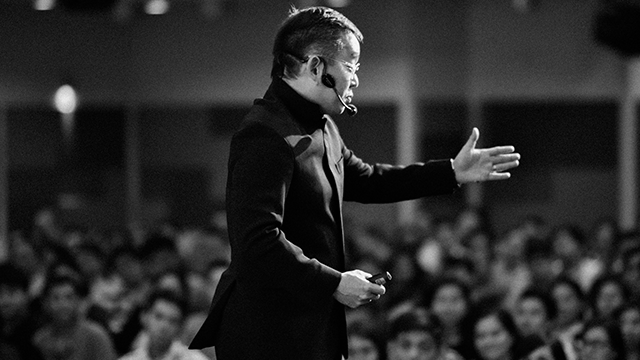 Today, Chinkee Tan is one of the most sought-after motivational speakers in the country. He has also authored five best-selling books sharing his experiences on money and personal finance, which have sold over a million copies to date. In this time when the cost of living is rising, building multiple income streams is a necessity. Unfortunately for many people, their only source of income is from their salaries, which may prove to be unstable in times of crisis. “Never get your eggs from one basket. Having one source of income is never enough. You need to generate income for the short-term, medium-term and long-term,” says Chinkee. Simple living is appreciating what is necessary and what is not. It is about identifying what our real needs are versus our suggested wants. But in this era of consumerism and social media, how can you live in simplicity? “The answer is very simple: Never compare yourself with others. There are only two things that will happen. It is either you get disappointed because others are better off than you, or you will be proud because you are better off than others. At the end of the day, they are both unhealthy,” Chinkee explains. When you prioritize savings, you are saving for the future. Prioritizing your savings means setting aside savings first from your income before spending it. But many people do this wrong. They would spend first and promise to save whatever is left. “The right money value which I inherited from my parents is to save first before spend. They taught me the principle 50-25-25. For every peso I earn, 50 cents goes to savings, 25 cents goes to investment, and 25 cents goes to spending. If I want to spend one peso, I have to earn four pesos so that two pesos go to savings, one peso goes to investing and one peso for spending. That is how I acquired the habit of saving at a young age,” Chinkee explains. One day when he was younger, Chinkee brought home a bike that he borrowed from their neighbor. When his mom saw it, she immediately asked him to return the bike. The young Chinkee told his mom that he hadn’t used it yet and asked why he needed to it. Her mom replied that if something happened to the bike—like he broke it or lost it—he would have to pay for it and end up with an invisible bike. “That is the reason why I discourage people from spending the money they don’t have. How can you do that? By borrowing money or using credit cards without knowing where you’ll get the money to pay for it when it becomes due. There is a saying that if you think investment education is expensive, try ignorance. You can graduate with honors from college and still become a financial failure because you don’t have the right money skills to build.